At a time in hospitality when “going Green” and being “eco-friendly” has become the popular fashion, many resorts around the world now rush to capture the environmentally conscious Responsible Travellers market by retrofitting Green features during their annual 6-8 week closed for renovation period. There are however a number of forward thinking Owners and General Managers for whom this trend is neither new nor is it a marketing gimmick. For them sustainable business practices have been a daily way of life and philosophy. 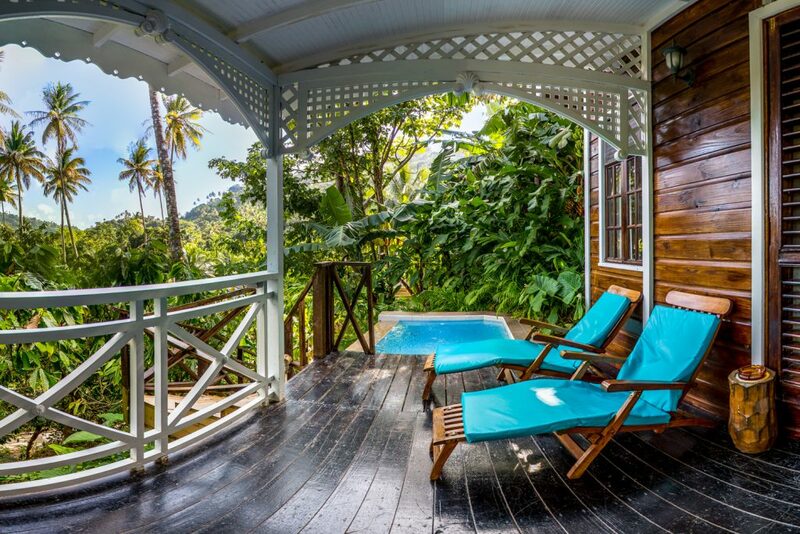 Set deep amidst a 250 year old, 135 acre working plantation in the heart of Soufriere, in the South of the island, and rooted in the history and culture of Saint Lucia, the back to nature Fond Doux Estate Resort is one such place. 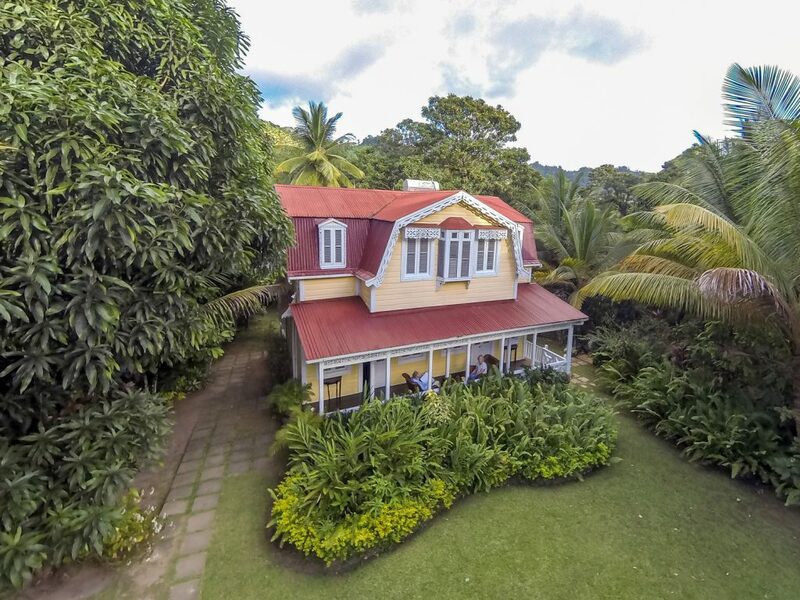 There is an old saying “Built it and they will come”, a saying given credibility and relevance here as this is precisely what the Soufriere born and raised husband and wife owners of Fond Doux Estate Resort, Lyton and Eroline Lamontagne did. In 1980 the Lamontagne family purchased the estate, operating it as a banana plantation throughout the 1990s. In a break from the then conventional wisdom of where resorts in the Caribbean, particularly those in Saint Lucia should be located i.e. outward looking towards the sea, in 1999 Lyton & Eroline, chose to buck this trend and look inwards. Inwards to a view that captured the true heart of the island’s plentiful and fertile vegetation, its Mamey “Sapote” apple fruit trees, lush cocoa groves and vivid natural beauty. This transformative decision saw the diversification away from an industry dwindling Banana plantation and into thoughtful heritage tourism, with the creation of Fond Doux. But just how serious are they about their national heritage? In 2006 in an audacious and imaginative feat of creative thinking and engineering, Lyton saved from demolition a 160-year-old two storey house that stood in neglect for many years in the town of Castries. He bought, disassembled, relocated and then, like an elaborate jigsaw puzzle, reassembled it back on the grounds of Fond Doux Estate. This would become known as Angelina Villa, the resort’s first cottage. Named after Eroline’s eldest sister Irene Angelina Charlemagne Angelina Villa features a living room, dining room, outdoor kitchen, and bathroom on the main floor, plus a spacious master bedroom and second bathroom on the upper floor. This business practice of identifying intricate 100+ year old French Colonial wooden buildings slated for demolition, dismantling and transporting the buildings to the resort, and restoring them as guest accommodations is a testament to the owner’s passion for preserving monuments of the island’s rich cultural history and sustainable eco-building practices. This practice is also reflected in the resort’s additional accommodation which consists of an assortment of 14 uniquely handcrafted cottages, each of which were built without machinery and excavated by shovel so as not to disturb the environment. 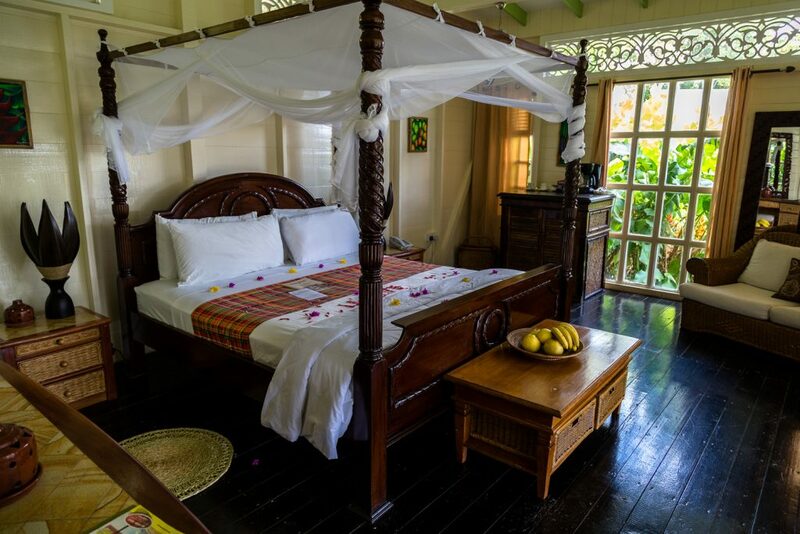 Tastefully decorated, each cottage is peppered with French Caribbean colonial touches that include mahogany furniture, attractive jalousie shutters and white gingerbread roof finishes. 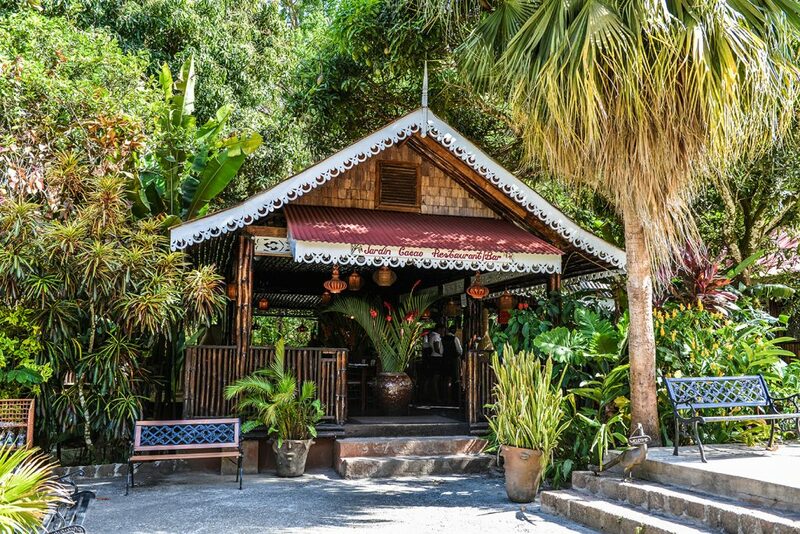 As well as attractive fretwork, wooden floors, four-poster beds, rocking chairs on the verandas and in the two 2 bedroom stand-alone cottages, set amid the dense tropical vegetation, a lounge and fitted kitchen. 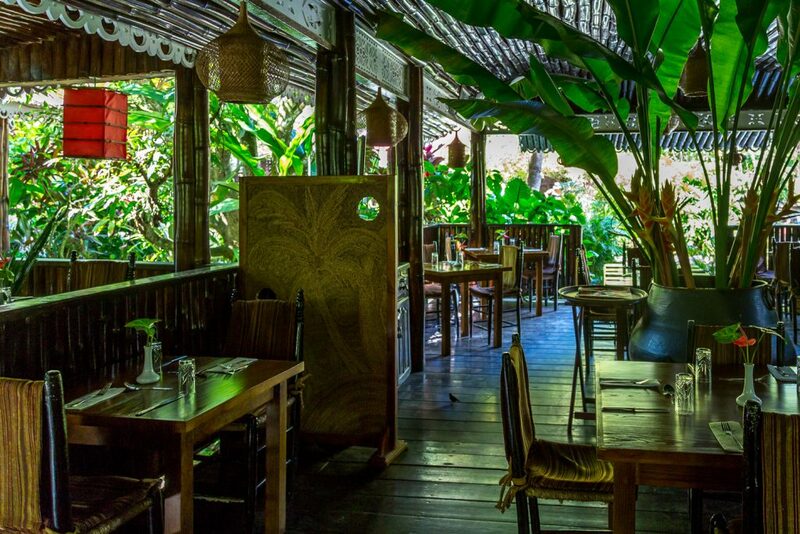 In a full embrace of Plantation to Plate , locally made cuisine, both of Fond Doux’s two restaurants Bamboo & Cocoa Pod serve authentic Saint Lucian Creole and fusion style dishes, including Creole chicken and freshly caught fish, combined with locally grown seasonings, vegetables and salads harvested from what is grown on the estate. During our stay we enjoyed a selection of signature dishes combined with modern interpretations of authentic Saint Lucian cuisine that included vegetable soups, chicken/fish souse kaye, organic house salads, pan seared Mahi-Mahi, Creole shrimps, Jerk pan fried chicken breast and grilled beef sirloin…. Well we were there for 4 nights!!. It was also pleasing to see that rather than just sit back and enjoy the results of their hard work, Lyton and Eroline remain very much hands on in the day to day running of the resort and staff training, although during our stay they had just brought on a new General Manager with international Five star resort management experience. Experience which they acknowledge is needed to meet the ever demanding hospitably trends, whilst ensuring that they strike a balance that never loses sight of Fond Doux’s renowned back to nature experience. Lyton and Eroline’s commitment to operating as an authentic plantation with sustainable business practices that extend to both the resort and cuisine, has earned Fond Doux global recognition and certification as both an Organic Plantation and a member of Green Global. In 2017, in recognition of Eroline’s outstanding achievement and service to the business community, the Queen of England awarded her with an MBE (Member of the Most Excellent Order of the British Empire) presented by Prince William of England. Speaking about her award Eroline said “I come from a large family where everyone worked hard and helped to raise each other up.